INESC TEC was present at the Supply Chain Management Conference 2018 (SCM Conference) regarding the theme “To bring together and to connect the 4.0 world to the Supply Chain”, which took place on 20 and 21 June in Santarém. Ana Barros and Manuel Parente, researchers from the Centre for Enterprise Systems Engineering (CESE) and from the Centre for Industrial Engineering and Management (CEGI), respectively, were the representatives of the Institute at different points of the event. Ana Barros was responsible for the opening conference entitled “Supply Chains Scenarios for 2030”, in which the European NEXT-NET project (Next generation technologies for networked Europe), was presented, along with six scenarios for the supply chains in 2030. The scenarios were designed based on the trends of the industrial supply chains of the future, considering six dimensions: political, economical, social, technological, legal and environmental. On the second day, Manuel Parente led the presentation entitled "DoubleChain - Implementing an e-marketplace in blockchain for syndicated purchases", presenting the DoubleChain, which is a proof of concept of a blockchain focused on supply chain coordination, particularly in the purchasing activity supported by a decentralized network, which allows for suppliers to place or to bid orders and to syndicate with other buyers, thus gaining negotiating power, among other advantages. Parallel to the event, "meeting tables" were organised, that is, thematic meetings promoted by enterprises and/or entities of the sector, aiming to give a target audience relevant information for their activity. In that respect, INESC TEC was responsible for two initiatives. The first one was “Consequences of the scenarios in 2030 in the supply chain strategy”, with two editions, one in each day of the event. 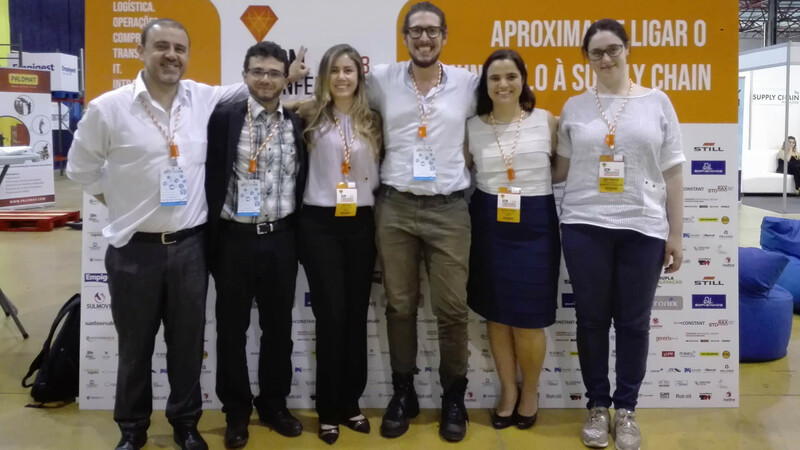 Both editions were focused on the NEXT-NET project, promoted by Ana Barros and Pedro Senna from CESE, Kerley Pires from LIAAD and Vasco Amorim from CITE. The second one was "How to measure visibility in the supply chain?" under the E4Value project, being presented by Dario Messina from CESE of a visibility measuring that allows any company to monitor this performance indicator in order to improve visibility in their supply chain. The SCM Conference is the biggest national event that gathers the professionals of multiple backgrounds of the Supply Chain for two days in the same place. It is an opportunity to create contacts and impacts, to explore new ways of thinking and looking at its activity and to know the decision makers of the market.